We’d love your help. 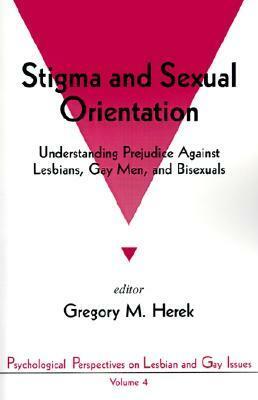 Let us know what’s wrong with this preview of Stigma and Sexual Orientation by Gregory Herek. This timely and accessible contribution towards a deeper understanding of homophobia provides much-needed insight into the issue of prejudice in general. Topics discussed include: the nature of antigay prejudice, stereotypes and behaviors; the consequences of homophobia and related phenomena on the well-being of lesbians, gay men and bisexuals; and the critical need for psy This timely and accessible contribution towards a deeper understanding of homophobia provides much-needed insight into the issue of prejudice in general. To ask other readers questions about Stigma and Sexual Orientation, please sign up.